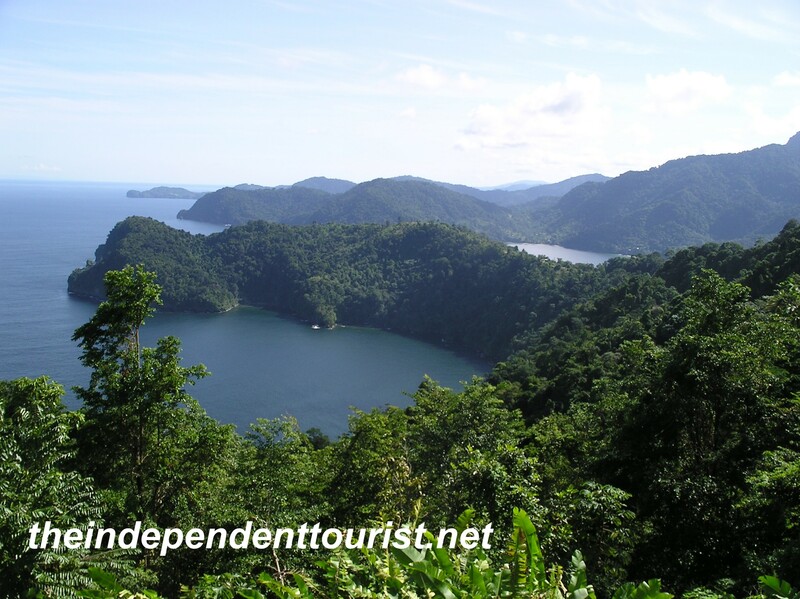 We had the chance to visit Trinidad & Tobago in December 2007. Trinidad is located right off the coast of Venezuela between the Caribbean Sea and Atlantic Ocean, and the island of Tobago is right north of Trinidad, only about a 20 minute flight. It is a sovereign nation, and oil production and refining are the main industries. It was a British colony for many years, and therefore driving is on the left. We stayed at the Hilton Trinidad & Conference Center in Port of Spain. 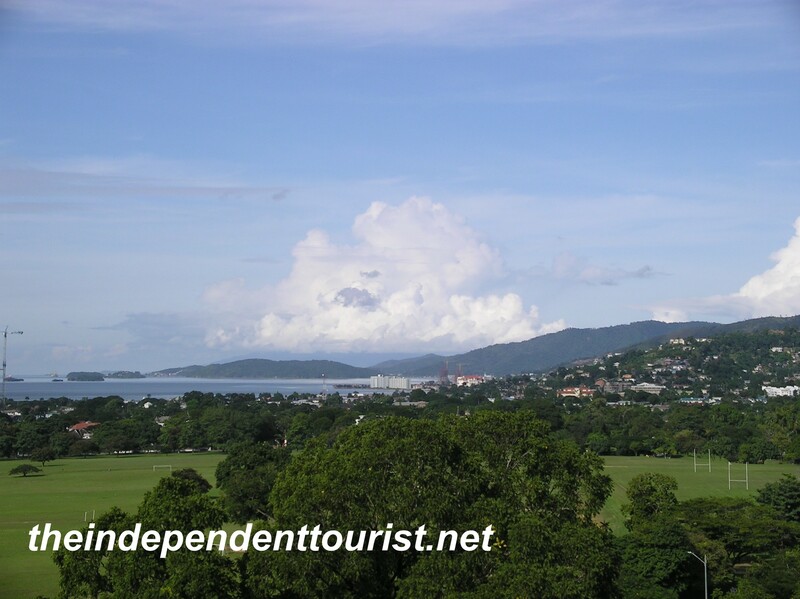 It is a good hotel that overlooks the city of Port of Spain (see pictures below), and has a great secluded pool area. We stayed here the entire time except for an overnight trip to Tobago. The hotel is close to the Botanical Gardens and Zoo. We arrived on Friday evening at the Trinidad airport from Houston, and arranged right then at the airport to get flights the next day to Tobago on Caribbean Airlines. We had decided to “wing it” on the flights. Not a good idea on weekends—the airline seat capacity was very limited. Getting two seats on the same flight the next day (Saturday) to Tobago was a bit of a challenge, and it was impossible on the flight back to Trinidad on Sunday, so we returned on different return flights although they were less than 2 hours apart. The flights were inexpensive, less than $50 per person round trip, and the plane was a turbo prop. The airport in Tobago (“Crown Point International Airport”) is about the smallest I have ever seen. It is almost all outdoors due to the warm climate and the airline check-in is on the sidewalk. We asked for a taxi to our hotel (a Hilton property at the time) and a man took us to his old sedan in the gravel parking lot, which he could not get to start. After about 10 minutes, we thanked him for his effort and then found another taxi to our hotel, which was about 10-15 minutes away. If you want a Caribbean retreat away from the crowds, consider the island of Tobago. December was a great time of year to go. Back on Trinidad, we had a little time on our last afternoon, and hired a car to take us up to Maracas Bay on the north coast of Trinidad. What a beautiful spot. We also got to try a shark sandwich! It wasn’t bad—pieces of fried shark in a pocket bread, with lots of condiments to add if you wish. We love Indian food, and we probably enjoyed the best Indian meal we’ve ever had in Port of Spain. There are lots of Indian immigrants in Trinidad. While I cannot recall the name of the restaurant, it is in the same vicinity as Tony Roma’s. There are lots of restaurant choices, some of which are outdoors and very enjoyable. Be aware that the crime rate in Trinidad is somewhat high. Take the usual precautions of keeping track of your personal items and being aware of your surroundings. My wife felt safe walking around during the day (while I was in business meetings), and with a small group you should have no problem, even in the evening. 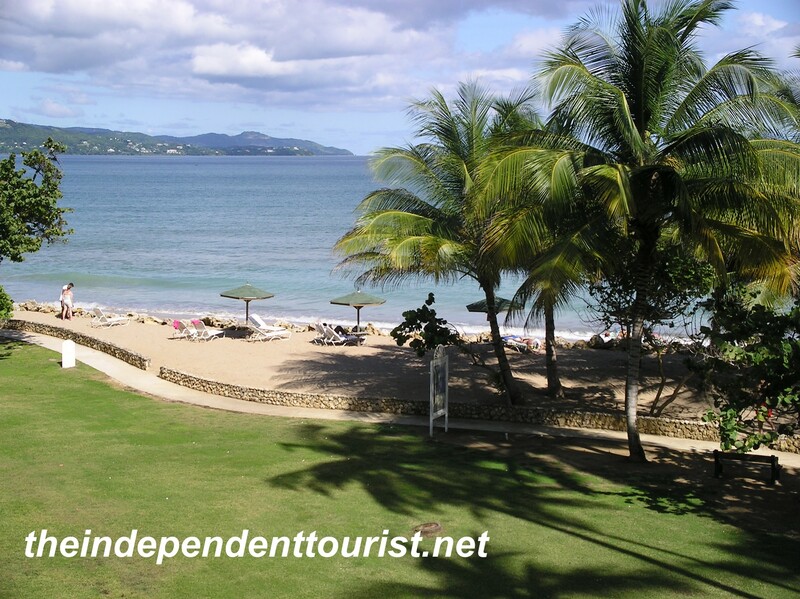 Posted in Carribean, Trinidad & Tobago and tagged Carribean Travel, Tobago, Travel, Trinidad on March 24, 2011 by Paul Terry.